UKRL’s response time was impressive this evening. This is the first significant fault on 56301 after around 10 week at Peak Forest. 56312 has arrived at Peak Forest and put to work. 56301 received an A exam. Update 24/11/2018 – 56301 continues on shunting duties at Peak Forest. As was known before making the decision to hire 56301 to GBRf, the duties at Peak Forest are arduous but we’re pleased to report that so far the 56 has performed well and UKRL have attended the loco very promptly for the few problems which have arisen. These include clearing out damp sand from the sand boxes at No. 1 end (the end which really needs sand when the loco is shoving 24 boxes up the incline towards the Cemex loader) and repair of the DSD pedal at No. 1 end, after it became stiff due to ingress of quarry dust. 56312 is expected to join 56301 at some point and it is unclear whether the locos will be used individually as was previously the case with the DRS 37 and the Colas 56, or whether 56301 will return to Leicester after the 60 day hire finishes on 9th December. It is thought that 56312 does not have operational multiple working equipment so the possibility of a pair of 56s working at Peak Forest seems unlikely, unless UKRL restore the equipment on 56312. 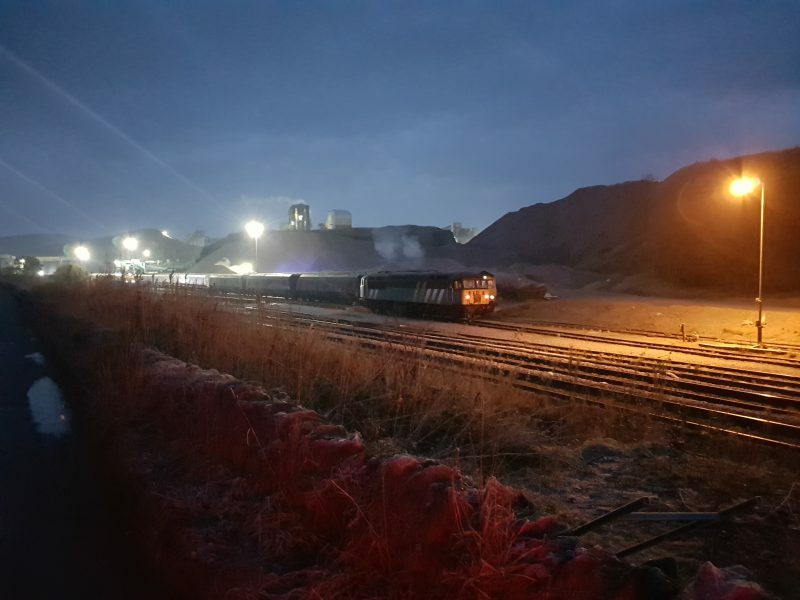 Attached is a photograph showing 56301 at 7am on Thursday 22/11/2018 – and yes, it was as cold as it looks on the picture!